This Saturday the Kansas City Chiefs will attempt to end their long-standing home playoff losing streak once again. Kansas City enters this week with six straight home playoff losses. The last time the Chiefs won a playoff game at home, was when Joe Montana was donning the Kansas City red and gold. Due to the past, there is reason to believe the Chiefs could still fall short this weekend. But, this time things are different due to the cards the Chiefs have been dealt. Let’s start at looking at what cards the Chiefs were dealt, by first looking at the opponent. The history shows “oh no, it’s this team once again.” For example in postseason history, the Colts are 4-0 all-time against Kansas City. All four losses have held different levels of pain for Chiefs fans. The latest matchup featured the second biggest comeback in NFL playoff history. The Colts overcame a 28 point deficit to stun the Chiefs 45-44 in Indianapolis in the 2013 Wild Card round. You also have the 2003 season. The Chiefs were one of the most explosive in the league that year, led by Trent Green, Priest Holmes, Tony Gonzalez and an offensive line who made clockwork of opponents. Yet, the Colts came into Arrowhead and won a high scoring affair, 38-31. Finally, there’s the Lin Elliott game. In a defensive slugfest, the Chiefs had their chances to overcome the Colts. But they could not. Kicker Lin Elliott missed three total kicks. First, a 35-yard attempt with the game nodded up at seven all. Then, Elliott missed in two separate instances with the Chiefs down 10-7. The final time missing from 42 yards and Arrowhead Stadium erupted in boos. To add to the history, we have the hot streak that the Colts are on with quarterback Andrew Luck playing with a young core and several “no name” skill players. The Colts in 2018 started exactly like the 2013 Chiefs did, at 1-5. Five years ago, the Chiefs stomped the Texans in the Wild Card round. This season, the Colts steamrolled the Texans in the Wild Card round as well. This hot streak has a lot of the national media believing the Colts can walk into Arrowhead and win. But this time with the Chiefs on the other end of the hot streak, they have the ability to ruin this fulfilled team’s run. What about the new gen Chiefs will finally end this home playoff drought? The fact that they finally have best quarterback of the home playoff matchups for one. During the past home playoff losses, the Chiefs quarterbacks were all guys who had been brought in as free agents or had been career backups. Patrick Mahomes is the first homegrown quarterback for the Chiefs in a long time, and his abilities put the Chiefs in a lot better position to win. Another reason to look towards the Chiefs winning this game is the fact that the Chiefs believe they can get anything done. After defeating the Raiders in Week 17, Justin Houston said: “make these last couple of weeks mean something.” This is the first time in a long time that the players fully believe they can get it done and reach the goal of getting to the Super Bowl. It all starts this week. Thank you for reading. 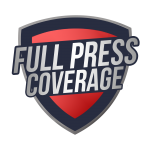 Be sure to check out Full Press Coverage daily for news updates, and information about the NFL playoffs. Hopefully, the Chiefs will go all the way. Previous articleDavid Robertson signs with Philadelphia, but are they done? Next articleBears Playoff Loss: Who’s to Blame?